What a pain in the neck: Remembering which mammals have more or less than 7 neck vertebrae. In season 2 of Mutual of Omaha’s Wild Kingdom, we filmed an web series about giraffes at the Dallas Zoo. In the webisode, “Above it All,” I say, “At first thought, you’re like, they [giraffes] must have a hundred neck vertebrae! Believe it or not, they only have 7… In the animal kingdom, most mammals have 7, with the exception of the sloth and the manatee.” Kids love this fact because it seems impossible that giraffes have the same number of neck bones as a bat or even us humans, but it’s true! The only difference is that ours fit in the palm of our hand, while a giraffe’s can be the size of a gallon milk jug! We all share a similar mammalian ancestor who also had 7 cervical vertebrate, so apparently that is mother nature’s rule: All mammals have 7 cervical vertebrae. The thing about nature though, is that nature sometimes breaks the rules and makes us out to be fools, because for some reason, sloths and manatees were given a hall pass and are the exception to the rule. Sloths have eight and manatees got the short-end of the stick, with only six. 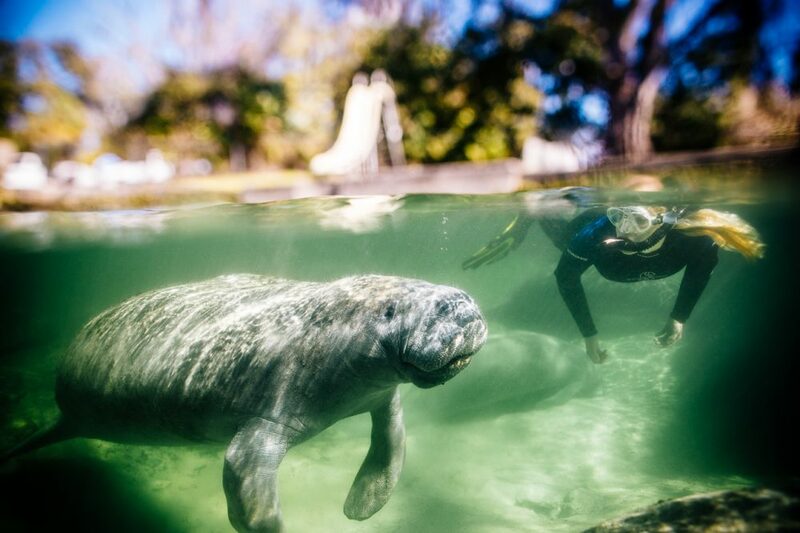 This makes it difficult for manatees to turn their heads sideways, so they must turn their whole body around to look behind them. After observing a 1,300 manatee doing a 3-point turn while filming in Crystal River, FL this January, I would be afraid to show them how easy owls have it. There are many hypotheses to how this happened, but most scientists say it is from structural “abnormalities,” during development over many generations. But the big question is, how have manatees and sloths been able to make it through the generations with these genetic malformations, while the same mutations appear to have been consistently selected against in all other mammal species? Well, scientists attribute this anomaly to their infamously low activity and metabolic rates, which reduce the severity of cancer and free radicals associated diseases. So in their cases, being a slow, helped their species survive. Booyah! Nature never ceases to boggle me. Just when humans think they have it all figure out, nature throws us a curve ball and reminds us that their are exceptions to the rule. It’s what keep scientists and biologists on their toes. Questioning why things are the way they are, is what keeps us asking questions and learning more about the animals we share space with on this amazingly, complex planet. Who knows, learning these exceptions, might help us uncover the one thing, that can help save them. A question I asked myself: What about humans? Through evolution, how many “malformations” in the human species actually prevailed and helped us survive and thrive? 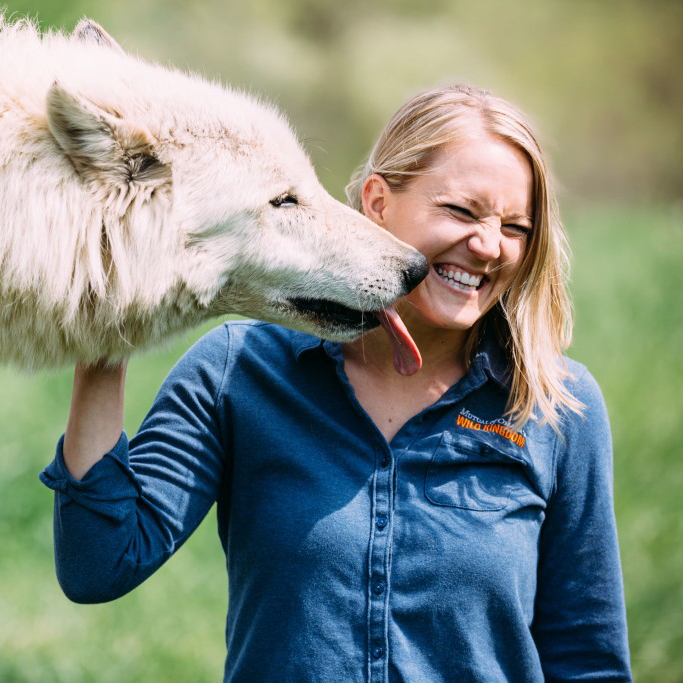 As a seasoned wildlife educator and the Host of Mutual of Omaha’s Wild Kingdom, Stephanie knows first-hand about non-sustainable human practices and how they impact ecosystems and the species they support. So she has made it her life’s mission to share what she has learned with as many people as possible. Stephanie is also the co-founder and co-host of The Creative Animal Tour.